Landscape Some clicks at Sant Dnyaneshwar Sanjeewan Samadhee Mandir Aladi, Pune. Landscape Sun Set once again! Tree getting warmth from the Source of the Universe ! Landscape Night at Indrayani Ghat, Dnyaneshwar Maharaj Samadhee Mandir Aladi, Pune. Landscape Morning at Sant Dnyaneshwar Sanjeewan Samadhee Mandir Aladi, Pune. Dance with spirals in Rangoli Designs, Vibrancy of the Sun, Rays of Hope and Shadow! Dance with the tunes of shadow that always follow you! Here you follow the shadow! Dance of branches of trees with tones of Sunset colours! Happy Holi with these colours! Dance on the tunes of rays of hope, always inclined up and up, on the grid of time (life)! Harmony in exercises students of military training school. State of Mind – Disciplined, Can we bring that Discipline in our work and daily life? State of Mind – Creative, Lahanpan Dega Deva- God, Please take me back in Childhood! State of Mind – Ignited, Mashal (Torch)! State of Mind – Enlightened, Dhwaj- Flag on the Temple! You make our days, you make our nights, you made life here on this Planet. Cant find the traces of your existence, But can say for sure that you are doing this in TIME! Read the TIME and enjoy the Time‘s challenge. For previous entries in Weekly Photo Challenges. Once again a shadow for you! During the day time when Sun is pouring the light on the Earth, TIME came to me in shadows. They follow till the light ends. They guide me where I am heading! Read the shadow and enjoy the Time‘s challenge. For previous entries in Weekly Photo Challenges. During the day time when Sun is pouring the light on the Earth, TIME came to me in shadows. They follow till the light ends. They guide me where I am heading! Read the shadow and enjoy the Time‘s challenge. For previous entries in Weekly Photo Challenges. Even at the highest speed of FAN, it inspires us to remain calm with spreading arms in all four directions!! Keep calm and enjoy the Time, this week’s challenge. Previous Weekly Photo Challenges here. All set to the tune of Time, this week’s challenge. Previous Weekly Photo Challenges here. Set all the week for Vibrants, the colours of warmth and creativity! Light and darkness! Shades of tones! Have a glimpse on some of the previous Weekly Photo Challenges here. Flame captured in the night, part of the the Pooja last year in 2015. Capture is only possible in camera and not physically! In this week’s challenge Vibrant, trying to post few colours! Similar stuff can be found in my entries for Weekly Photo Challenges, hope that you will enjoy and add your valuable comments. The birds in silhouette adding the life to the shot. In this week’s challenge Vibrant, trying to post few colours! Similar stuff can be found in my entries for Weekly Photo Challenges, hope that you will enjoy and add your valuable comments. This week is a lot of jumps as the challenge is Vibrant . Trying to post few colours! Similar stuff can be found in my entries for Weekly Photo Challenges, hope that you will enjoy and add your valuable comments. This week was covered by my perspectives on Optimistic. The journey of life ahead with always optimizing everyday, every road. Life is all about optimizing not winning or loosing! Similar stuff can be found in my entries for Weekly Photo Challenges, hope that you will enjoy and add your valuable comments. My perspective on Optimistic. Similar stuff can be found in my entries for Weekly Photo Challenges, hope that you will enjoy and add your valuable comments. Weekly Challenge Weightless gave nice opportunity to showcase my photography portfolio- Photolia. Photolia also has section on birds. As they fly higher and higher, as they land within an impulse it is feeling of Weight(less). Similar stuff can be found in my entries for Weekly Photo Challenges, hope that you will enjoy and add your valuable comments. Its nice opportunity to showcase my photography portfolio- Photolia. Photolia also has section on birds. As they fly higher and higher, as they land within an impulse it is feeling of Weight(less). Similar stuff can be found in my entries for Weekly Photo Challenges, hope that you will enjoy and add your valuable comments. Circle its the long run photo challenge. Hence I thought to put some more long run object. I extracted it from my portfolio of Photography Photolia. The warmth from the Sun is the most long run. Similar stuff can be found in my entries for Weekly Photo Challenges, hope that you will enjoy and add your valuable comments. Circle from the top view of the multipede. Nature has created many miracles through its design. This an examples of multipede protecting itself. The shot gives me a perception of merry go round. Similar stuff can be found in my entries for Weekly Photo Challenges, hope that you will enjoy and add your valuable comments. Circle from the top view of the glass. Some shots from daily life and routine objects will also give nice depictions. Similar stuff can be found in my entries for Weekly Photo Challenges, hope that you will enjoy and add your valuable comments. Circle here is to shelter. This is from the event when, We were travelling in Dindi 2015. Similar stuff can be found in my entries for Weekly Photo Challenges, hope that you will enjoy and add your valuable comments. Now function of space and time. It has traveled a bit and is going to travel more. Life is like this between a bit and lot more. Captured in Dindi this year. Similar stuff can be found in my entries for Weekly Photo Challenges, hope that you will enjoy and add your valuable comments. The Moment of accomplishing a task and have that in your hand in the present time, Now. This is from the event when, We had clay modeling workshop for kids during Ganesha Festival 2015. That was amazing experience with kids and clay! Similar stuff can be found in my entries for Weekly Photo Challenges, hope that you will enjoy and add your valuable comments. Again Its an Occasion of Dindi 2015. When all saffron got together to welcome Saint Dnyaneshwar Palakhi 2015. On this occasion near to a million became the part of this Gathering And we were also the part of them. Similar stuff can be found in my entries for Weekly Photo Challenges, hope that you will enjoy and add your valuable comments. Its an Occasion of Dindi 2015. When all saffron got together to welcome Saint Dnyaneshwar Palakhi 2015. On this occasion near to a million became the part of this Gathering Similar stuff can be found in my entries for Weekly Photo Challenges, hope that you will enjoy and add your valuable comments. Fly away made it Oops! Similar stuff can be found in my entries for Weekly Photo Challenges, hope that you will enjoy and add your valuable comments. Shay to show made it Oops! Similar stuff can be found in my entries for Weekly Photo Challenges, hope that you will enjoy and add your valuable comments. Shaking made it Oops! Similar stuff can be found in my entries for Weekly Photo Challenges, hope that you will enjoy and add your valuable comments. Looking to get it up any how on the sliding wheel of time! Trying to catch highest point possible.Some times get inverted doing all these exercises and still will be front runner horse in the long race of life. And Round and Round continues till the time ends. Exposed the Eye Spy. Similar stuff can be found in my entries for Weekly Photo Challenges, hope that you will enjoy and add your valuable comments. Round and Round for Eye Spy. Similar stuff can be found in my entries for Weekly Photo Challenges, hope that you will enjoy and add your valuable comments. My Horses in the race of Eye Spy. Similar stuff can be found in my entries for Weekly Photo Challenges, hope that you will enjoy and add your valuable comments. Transition through Night Life. Similar stuff can be found in my entries for Weekly Photo Challenges, hope that you will enjoy and add your valuable comments. Transition of light. Similar stuff can be found in my entries for Weekly Photo Challenges, hope that you will enjoy and add your valuable comments. Transition far away from the planet Earth. Similar stuff can be found in my entries for Weekly Photo Challenges, hope that you will enjoy and add your valuable comments. Transition behind the concrete. Similar stuff can be found in my entries for Weekly Photo Challenges, hope that you will enjoy and add your valuable comments. Trio here with after a long time break in photo challenges. Similar stuff can be found in my entries for Weekly Photo Challenges, hope that you will enjoy and add your valuable comments. 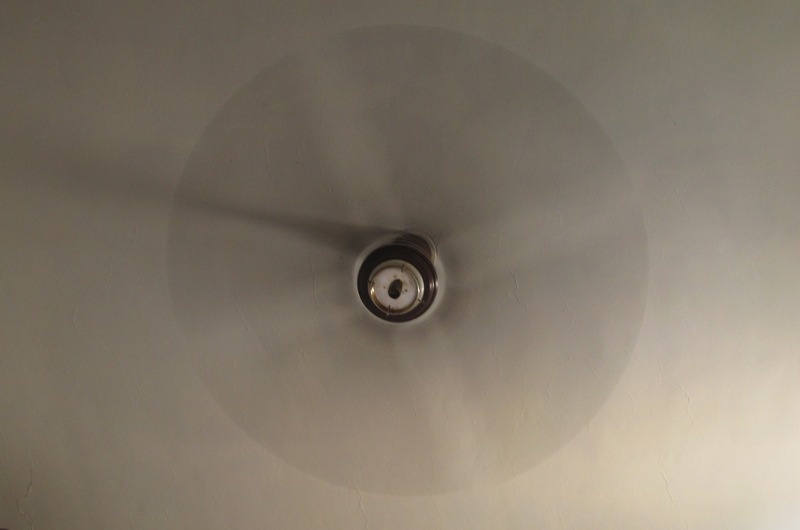 Even at the highest speed of FAN, it inspires us to remain calm with spreading arms in all four directions! !